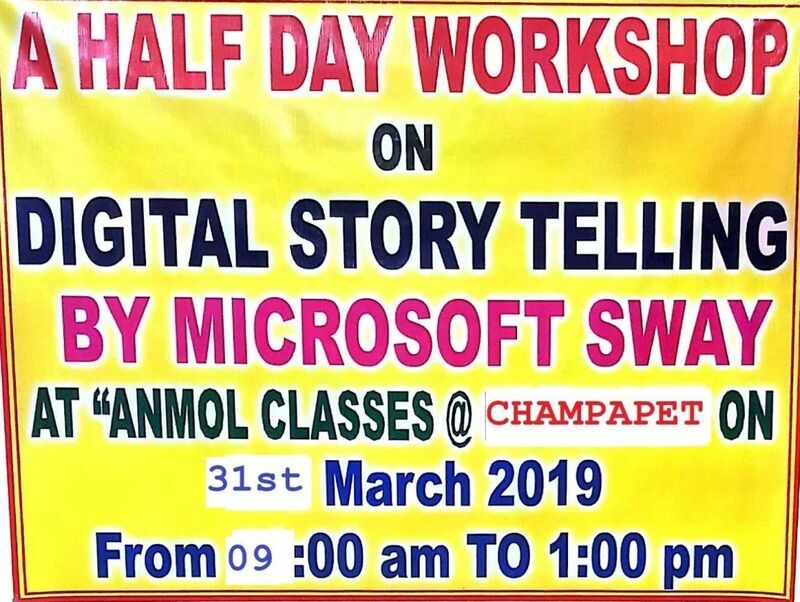 A Half Day Workshop on "Digital Story Telling With Microsoft SWAY". To create a digi locker account. To create a microsoft account. To hands on experience on Microsoft SWAY. 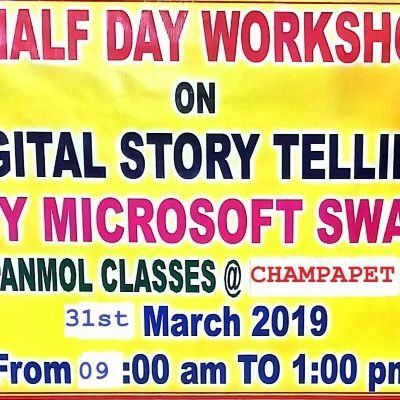 Finally writing an Online Exam on "Digital Story Telling With Microsoft SWAY". Successful students will get "Certificate of Recognition" from Microsoft.